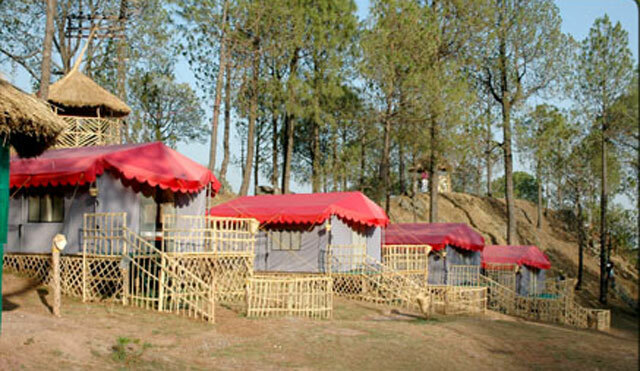 Kasauli Nature Camp is the destination where you can full fill your dream to live in nature with unique experience of adventure, Rejuvenating your mind and soul with fresh air of Pines. If you are thinking for an outing with your nears and dears far from noise, pollution and overcrowd. Then Kasauli Nature Camp is your destination, known for best hospitality and eco-friendly environment. For the first time in the history of Kasauli hill station, introducing the eco-friendly camp for carrying out eco-tourism activities under private partnership in Himachal Pradesh. Different type of activities you could do at the camp. Enjoy different experience to live in jungle in the lap of nature away from the noisy and polluted cities. Just feel the nature, forest, flora and fauna calm rocks. Flora and fauna is a major plus point to the camping site. Local flora and fauna will give an unforgettable additions to the vacations. Identification of flora such as trees, flowers-photos of various flora and fauna will keep your memories knowledge up date. Different type of insects and butterflies found in nearest places during your visit will help to distinguish with other species. Differentiate between edible and poisonous variety found around the camp. Collect beautiful flora available at the camp site to make your living place beautiful it also remind your sweet memories about the nature camp. At night insects sound like childhood “Lory” will help for a sound sleep. As far as the safety and security concerned the camp is absolutely safe have sufficient staff working 24 hours security guards in and around the camp. Area is free from any danger species of animals. All adventure activities are conducted with utmost care under guidance of professional instructors. All our instructor have long experience in adventure activities. Monkey Point Kasauli, Ancient Church, Tibetian Market, Air force station, Baba Balak Nath Temple /Sai Temple / Brijesh War Temple, World Famous Lawrence School, Kuthar / Banasar Fort. To maintain the natural state of the existing forest properly the following rules and regulation will be strictly implemented at the camp site. Follow the camp discipline, routines to make your trip an unforgettable one in the lap of nature under roof of Kasauli nature camp. Spend your free time in the eco-friendly environment nature than sitting ideally in tents. Rise early and have a walk to take fresh pine air. Share the knowledge of local flora and fauna with your co-campers. Listen and obey your guide Instructions for comfortable stay. Plant trees, ornamental plants and flowers provided by the camp staff to regenerate the forest through the special “Samriti Van” for eco-tourists. Take part in camp activities and share value able ideas with others. Enjoy traditional local food to energize your body. Yoga and Meditation will make you physical and mentally healthy. Walk to local villages and share your ideas with them. Painting and drawing in the lap of nature. Participate in traditional music and folk dances. In case of any Medical Problem’s we have first aid kit and doctor on call facilities in emergencies. Respect locals and share your value able idea about their culture and traditions. Don’t make any harm to the nature it will show your respect to the nature. Don’t ask to serve in tents, eat in the natural dining area by giving a little walk in the tap of nature. Don’t cut / seeds / roots and any part of plant trees their will damage them otherwise. Use path and trails indicated of the camp site to minimized the damage to natural beauty. Don’t litter anywhere put wastes where it belongs. No TV in the tents see wild life and natural based documentaries in a common theatre. Enjoy natural tingling sounds to make a comfortable sleep. Don’t write anything on trees, they will die un natural death. Don’t use any type of fire around the camp area. Don’t smoke in and around the camp except in smoking zone, Don’t use poly bags and disposable materials. Don’t feed animals, specially monkeys that will leach to un comfort. Hunting and trapping should not be done. It is punishable. Swiss Tent: Rs.4400/- per couple. Wooden Cottage: Rs.5000/- per couple. Valley View Cottage: Rs.5500/- per couple. Family Suite: Rs.8750/- (04 adults). Extra Child: Rs.1250/- per child ( 6 to 12 years). Includes: Accommodation, Buffet Breakfast, Buffet Lunch, Buffet Dinner and Taxes. Activities: Burma Bridge, Commando Net, Rope Balance, Tyre Climbing, Balancing, T Bridge, Archery, Tracking..
Rs.525/- per child (5 to 10 years). Includes: Welcome Drink, Breakfast, Lunch Evening Tea and Taxes. Activities: Burma Bridge, Commando Net, Rope Balance, Tyre Climbing, Balancing, T Bridge, Archery, Tracking.. Mobile: + 91 9810002772, 9910002772. Tele : +91-11-41612107, 26823836. Mobile: 9810002772, 9910002772.